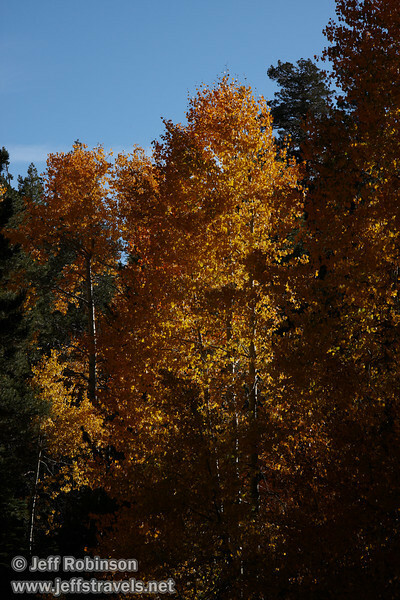 On 8/22/2011 we went up into the Sierra to see the fall colors (which in California means mostly Aspens). We headed up highway 88 (which had a few nice stands around Silver Lake), continued up to Carson Pass, and then down into Hope Valley which had the best colors we saw that day. We continued on to highway 89 through Markleeville and most of the way up to Monitor Pass.